Brunswick Corp. said its Fitness segment continues to successfully absorb several recent acquisitions but it’s also grappling with a changing commercial fitness market that is being waylaid by the popularity of boutique fitness studios on the high-end and more budget gyms on the lower end. On a conference call with analysts, Mark Schwabero, Brunswick Corp.’s CEO, said revenue comparisons in its Fitness segment, which includes Life Fitness, Hammer Strength and Cybex, in the second quarter reflected overall growth in global commercial fitness markets, including the value-oriented franchise clubs in the U.S. 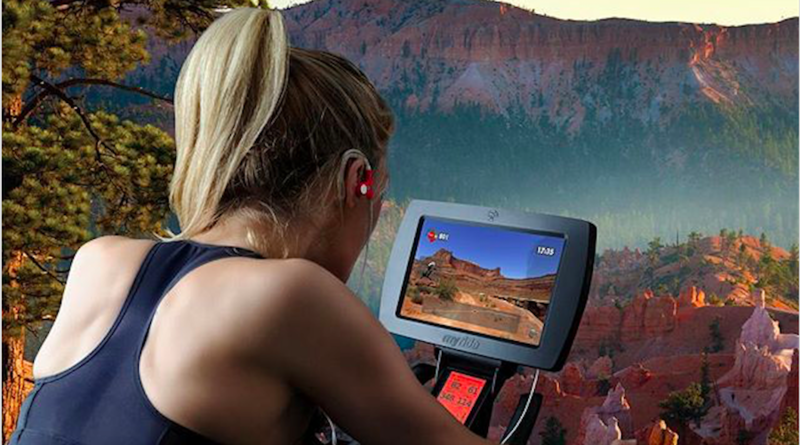 The business also includes Indoor Cycling Group (ICG), acquired in July 2016; SCIFIT fitness equipment; acquired in June 2015; as well as InMovement, a corporate wellness initiative introduced in April 2015. Cybex was acquired in January 2016. Overall, sales rose 9.0 percent to $250.5 million, benefiting from international sales and benefits from the ICG acquisition. International, which represented 48 percent of total segment sales in the quarter, increased 17 percent. Sales in the US benefited from improved commercial demand led by growth in sales to franchise club customers. International sales reflected growth in all international regions particularly in Asia Pacific and contributions from the ICG acquisition. Excluding the impact of acquisitions, Fitness segment sales on a constant-currency basis expanded 6 percent. Operating earnings in the Fitness segment slumped 23.2 percent to $18.5 million from 24.1 million. Restructuring, exit and integration charges amounted to $4.5 million in the latest quarter versus $2.6 million a year ago. On an adjusted basis, operating margins were 9.2 percent, which was 240 basis points lower than the prior year. The decline reflected the unfavorable margin impact from changes in sales mix, planned costs associated with capacity expansion, new product introductions and manufacturing facility transitions, the net unfavorable impact of non-occurring adjustments in both 2016 and 2017 as well as the unfavorable impacts of foreign exchange. The non-recurring items related to a favorable resolution of a claim in 2016 and an unfavorable liability adjustment in 2017. Absent the impact of non-recurring adjustments in both years, the change in operating margins in the second quarter would have been better by approximately 100 basis points. These factors more than offset contributions from higher sales, benefits from the ICG acquisition and cost reduction actions including acquisition synergies. The CEO noted that its Fitness segment has strengthened its sales force and its distribution capabilities to support the new product introductions. For the full year, including completed acquisitions, the Fitness segment is expected to see high single-digit revenue growth with a slight decline in operating margin. Third quarter operating earnings for the segment are expected to grow slightly but expected to expand in the fourth quarter. In the second half, the impact from changes in the sales mix are expected to begin to stabilize and the Fitness segment will start to see the benefits from the stronger revenue growth, the new product introductions, its efficiency initiatives and cost reduction actions. The biggest impact will be on the fourth quarter. Cost actions include headcount reductions first announced in April which resulted in annual declines of $7 million, mostly benefiting 2017. Additional cost benefits are expected from its manufacturing capacity initiatives as well as the additional new products that were introduced late in 2017 and 2018. These cost benefits result from platforming design opportunities and the in-sourcing of components on its new products.